The Pirelli World Challenge segment of 2018's Long Beach Grand Prix delivered a worthy precursor to Sunday's IndyCar main event with Daniel Mancinelli charging from a P3 start to take the checkered flag. The 29-year-old professional was able to overcome the gap between himself and polesitter Toni Vilander during the race's final minutes which awarded him the win in his series return. It also marks the TR3 Racing team's first overall victory of the 2018 season. Mancinelli ran in his starting position, third, for the first half of the race behind Vilander and Daniel Morad's Mercedes-AMG GT3. 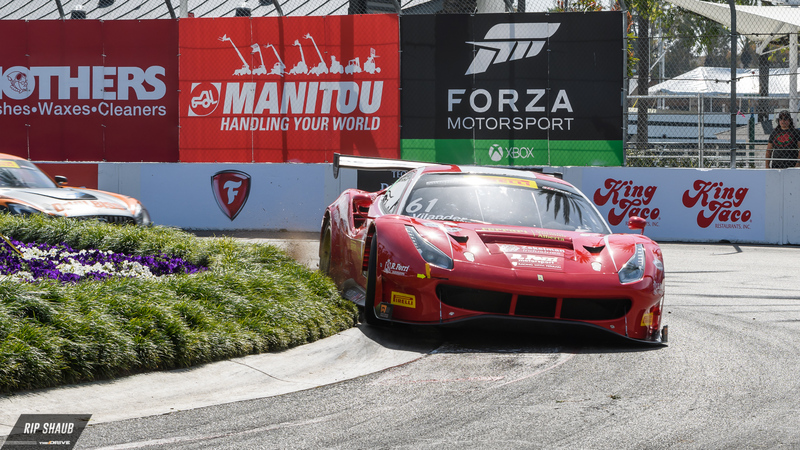 After a mid-race mishap that concluded Morad's outing, the two Ferraris inched closer together, leading to an eventual two-wide battle through the close-quartered city circuit. Forty-three minutes into the 50-minute sprint, Mancinelli made the bold pass with slight contact to become the frontrunner and would hold the position to the end. Carnage happened early with the first yellow flag being flown 13 minutes into the contest. The Competition Motorsports Porsche Cayman GT4 Clubsport MR of Mike Sullivan was wrecked into the wall on the straight between Turns 5 and 6; on-track debris led to a somewhat lengthy full-course caution, the only one of the race. Alec Udell's No. 41 GMG Racing Porsche 911 GT3 R was found to be at fault for the incident and he served a one-minute stop-and-hold penalty. Udell subsequently surrendered his fourth-place position and finished 13th overall. Alvaro Parente secured the final step on the podium in the No. 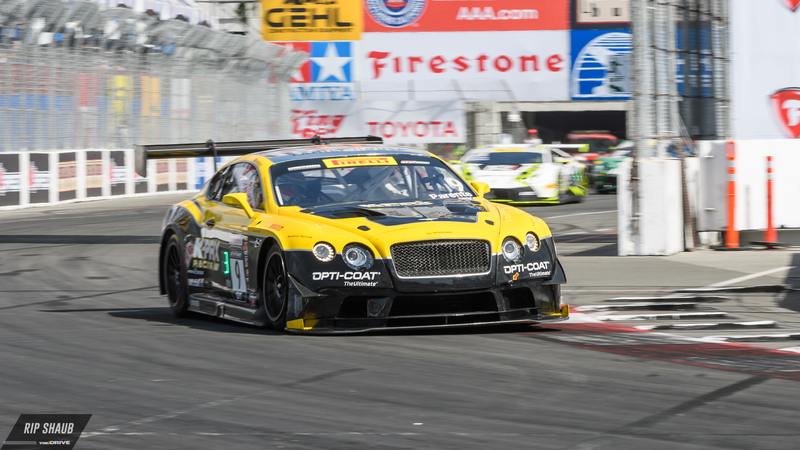 9 K-Pax Racing Bentley Continental GT3. His impressive fight from seventh-place, second to last in the field of eight pro drivers, was enabled by the hectic bout up top which knocked out several of the top qualifiers. A gap of 16.454 seconds separated him from Mancinelli at race's end. The next round of Pirelli World Challenge action will take place at Virginia International Raceway, April 26-29.